Made with 100% cotton fabric on one side and 100% wool fabric on the other. 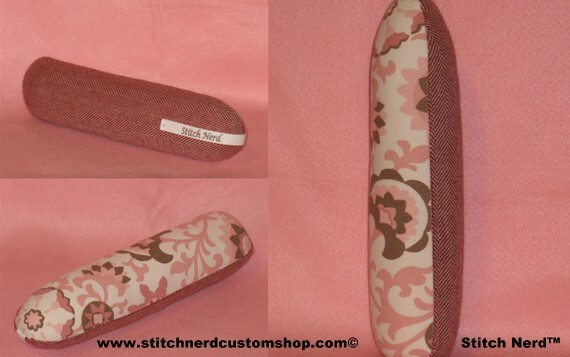 The inside is lined with 100% cotton muslin fabric. Seam Roll includes a convenient hanging tag. 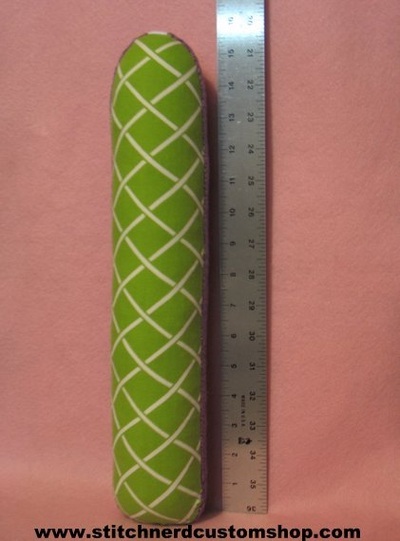 Regular Seam Roll measures approximately 3 inches (7.6 cm) x 11 inches (27.9 cm). For pressing seams open on narrow and long areas plus more. Need a longer Seam Roll? You got it! Now available in the following lengths: 15" (38.1 cm), 18" (45.7 cm), and 24" (61 cm). 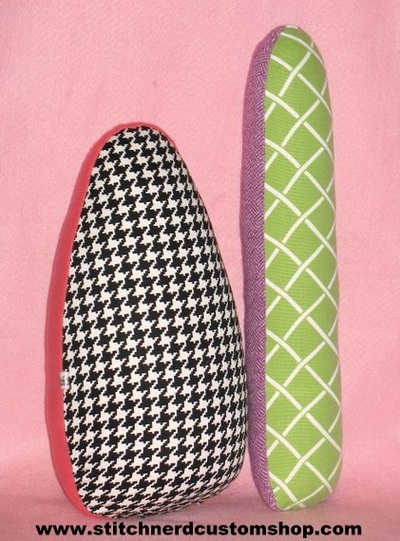 Please make sure that you provide a 1st choice fabric combo and also a 2nd choice fabric combo for your seam roll. I will always make your 1st choice if there is enough fabric.